Olive trees thrive in USDA zones 8-10. This makes growing olive trees in zone 9 an almost perfect match. Conditions in zone 9 mimic those of the Mediterranean where olives have been cultivated for thousands of years. Whether you want to grow an olive for the fruit, to press for oil or simply as an ornamental, there are plenty of options for zone 9 olive trees. 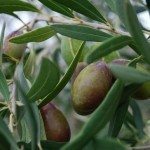 Interested in olives for zone 9? Read on to find out about growing and caring for olives in zone 9. Olive trees like it hot – hot and dry in the summer and mild in the winter. 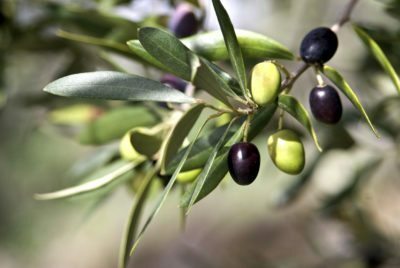 Of course, if you live in a cooler climate, you can always container grow an olive and bring it inside in the winter, but be sure to choose a dwarf, self-fertile variety. If you don’t, space may become an issue since some olive trees can grow to 20-25 feet (6-8 m.) in height and many olives need a partner to pollinate so you may need more than one tree. You’ll know growing an olive tree is for you if you live in a dry, balmy regions with plenty of sun, low wind and humidity with winter temperature never below 15 F. (-9 C.). Olives have very shallow root systems, so planting them in a gusty area is a recipe for disaster. If you have some wind, be sure to double stake the tree to give it extra support. If space is an issue and you want fruit, choose a self-fertile variety. 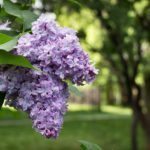 A well-known self-fertile variety is ‘Frantoio.’ Consider whether you want to grow the tree as an ornamental (there are some varieties that don’t fruit) or for the fruit or oil produced from it. A great table variety is ‘Manzanillo,’ but it does need another tree nearby to set fruit. Other options include ‘Mission,’ ‘Sevillano’ and ‘Ascolano,’ each with their good points and bad. 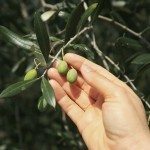 There are so many types of olive it may take a little research on your part to determine which one will be best in your landscape and area. Your local extension office and/or nursery are great sources of information. Olive trees need at least 7 hours of full sun per day, preferably on the east or south side of a house. They need well-draining soil but it doesn’t have to be highly fertile, as long as it isn’t overly sandy or clay laden. Soak the root ball for 30 minutes until it is damp prior to planting. Dig a hole that is at least 3 feet wide by 2 feet deep (61 x 91 cm. ), loosening the soil around the edges of the hole to allow the roots to spread out. Plant the tree in the hole at the same level it was in the container and tamp the soil down around the roots. Sprinkle compost over the planted area. Don’t amend the planting hole with any additional compost. Mulch around the olive to retard weeds and then water it heavily. Thereafter, water each day there is no rain for a month while the tree establishes. There is no need to stake the tree unless you live in a windy area. After the first month, only water the olive tree once a month. If you water it more often, the tree will produce shallow, weak roots.